A HAM radio newcomer gets on the air for the first time at a GOTA station. 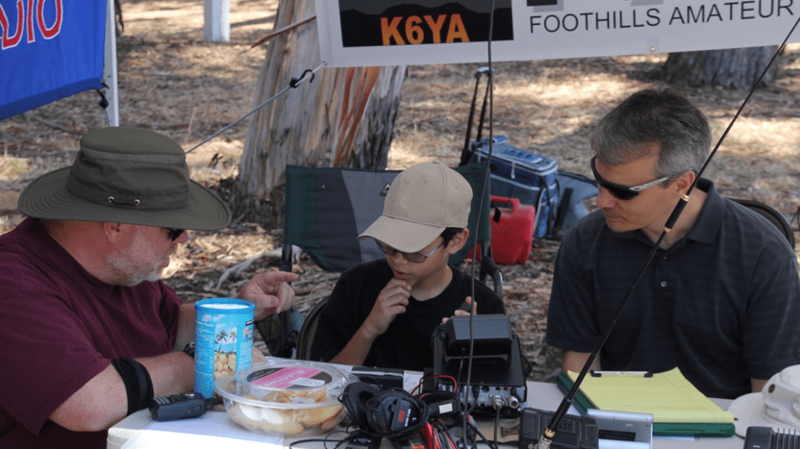 Photo: Gerry Sikora, WC6O, FARS, K6YA, 2011 Field Day. 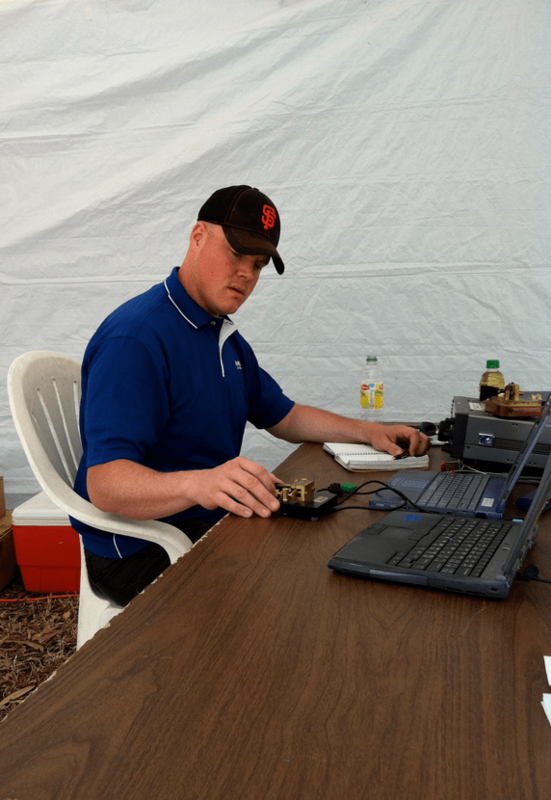 Every year on the fourth weekend in June, the largest amateur radio event in the US and Canada occurs. It’s called Field Day. The first Field Day was in 1933 and this year’s event— June 22-23—is the 80th anniversary. Chris, KG6O, listening intently operating a CW morse code station. Photo: Michael Pechner, NE6RD, FARS, K6YA 2012 Field Day. During the event, amateur radio operators spend the weekend making contacts with each other. Many clubs also show they can setup a communications site off the grid showing readiness for an emergency event. Field day sites can be quite impressive. Some boast 30-foot tall towers with huge antennas at the top and a large array of electronics equipment. Other are simply a solo operator using a home brew radio, a wire in the tree for an antenna, and a solar panel for power. Some sites just logging each contact on a pad of paper. Others setup their own network with VIOP phones between stations and all the computers logging contacts connected together. Communication modes are true old school morse code or voice, as well as digital modes like RTTY and PSK31 that are computer to computer communications. People setup computer controlled antennas to track and communicate using satellites. Some will bounce signals off the moon to communicate. Education is a big part of Field Day. Most club sites are open to the public and most also have a Get On The Air stations, GOTA, an opportunity for for people who are not licensed to dip their toe in the hobby. If you are interested in visiting a Field Day site, they can be located here. Getting involved is much easier these days since there is no more morse code requirement to earn your license. Almost every Maker Faire has an Amateur Radio presence. Check us out at the next maker faire near you.